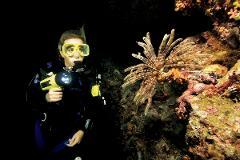 Dive during the daylight of the afternoon, then come up & watch a Florida Keys sunset, and then have a night dive. Witness the transformation of the reef right before your eyes, and see this spectacular change in the reef from day to night. 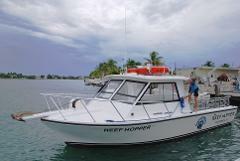 Charter our dive boats exclusively for your family and friends. 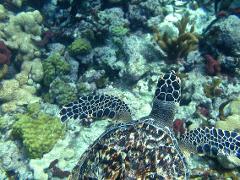 It is a fun way to enjoy the Marathon waters or do some diving and snorkeling in the ocean. If there is a special event you have in mind on the ocean, we can make it happen! Charter the Jolly Roger, a 45-foot power catamaran, exclusively for your family and friends. Do some diving & snorkeling or just some cruising around on the ocean. Have a special event in mind, we can make it happen! Capacity 49 passengers.